Very convenient location on a horse farm with amazing view of Blue Ridge and Shenandoah Mountains. Very close to Wintergreen, wineries, breweries, and US bike route 76, and Skyline Drive. The cottage is equipped with all the amenities you are looking for cooking and relaxing in a beautiful paradise away from home. There is a living room with gas fireplace only in winter time, two bedrooms with queen bed, full bathroom, fully equipped kitchen, and spacious deck with breathtaking views on the horse pasture and the surrounding mountains. If you would like to meet the horses or the pet ducks and chickens we will be very happy to give you a tour of the farm. 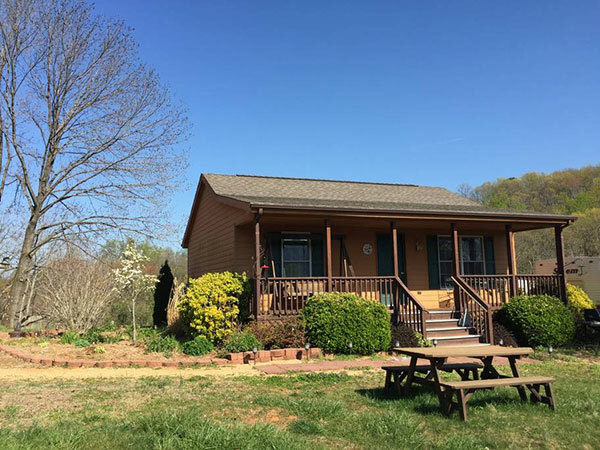 Reaching the cottage is very easy, just off of Interstate 64 in the bottom of the mountain, with incredible privacy and full of wild animals, deers, foxes, birds, bewares, ducks, and more if you are lucky! Cottage: 2 Bedroom, 1 bath – accommodates 4 persons.